Fr. Ric was born in Zacatecas, Mexico. After being ordained in 2003, he was assigned to be the associate Pastor of St. Colette. His next assignment was as Pastor of St. Bronislava Church in South Chicago and later at the Parish of Immaculate Conception. Fr. Ric joined the family of the St. Bartholomew Parish in 2013. 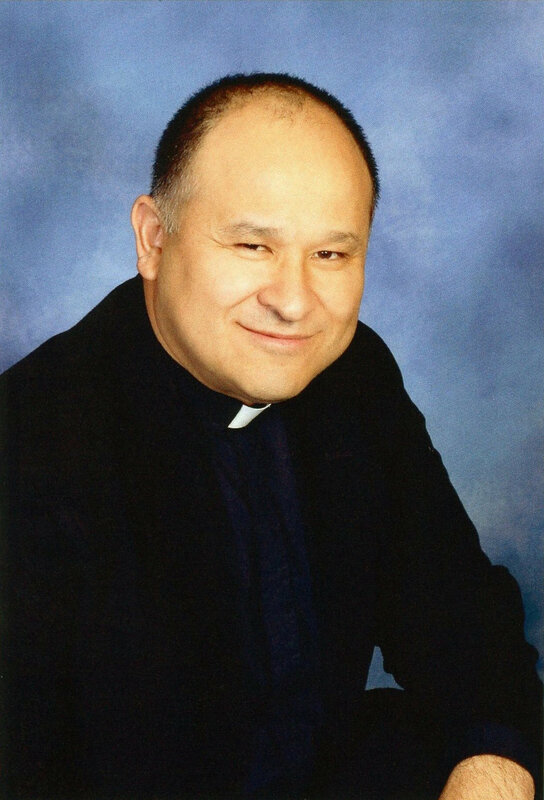 Deacon Faustino was born in Utuado, Puerto Rico. He married his wife Jannett in 1984 at St. Genevieve Church. They became parishioners at St. Bartholomew Parish that same year. Faustino and Jannett have 2 children Tino and Taína and one grandson Noé Faustino. Faustino began his studies in lay ministry in 2005, and was ordained a Deacon in 2012. Chuck is a native Chicagoan, growing up 2 blocks from Wrigley Field. His education includes about 5 years in seminary with the Vincentian Community, and college at DePaul University. He is working on his 44th year as a professional musician, music director, jobbing musician, and teacher, within the Archdiocese, including 7 parishes altogether, and a stint as the Director of Liturgical Music with the Office for Divine Worship. Additionally he teaches Music at St. Maria Goretti, and has two Norwegian Choruses on the side.